The Loch Ness Marathon is an annual marathon race in Scotland, held along the famous loch, Loch Ness, ending in Inverness. The event is part of the Festival of Running, held annually at the beginning of October. This also includes a 10K race and a 5K fun run, and attracts over 8,000 participants across all of the events. 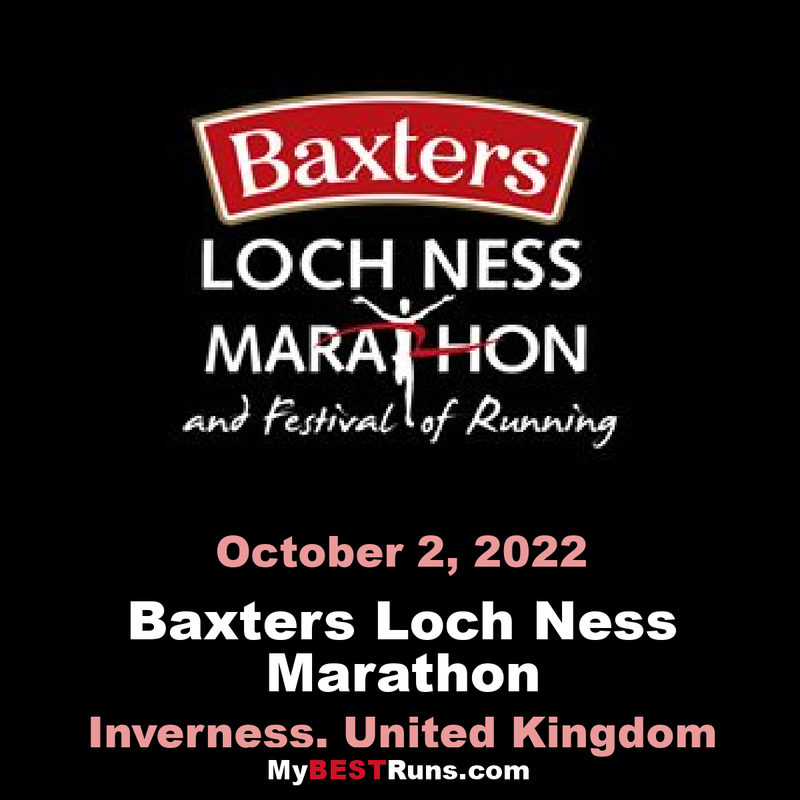 The Baxters Loch Ness Marathon & Festival of Running is a notable fixture on the running calendar. 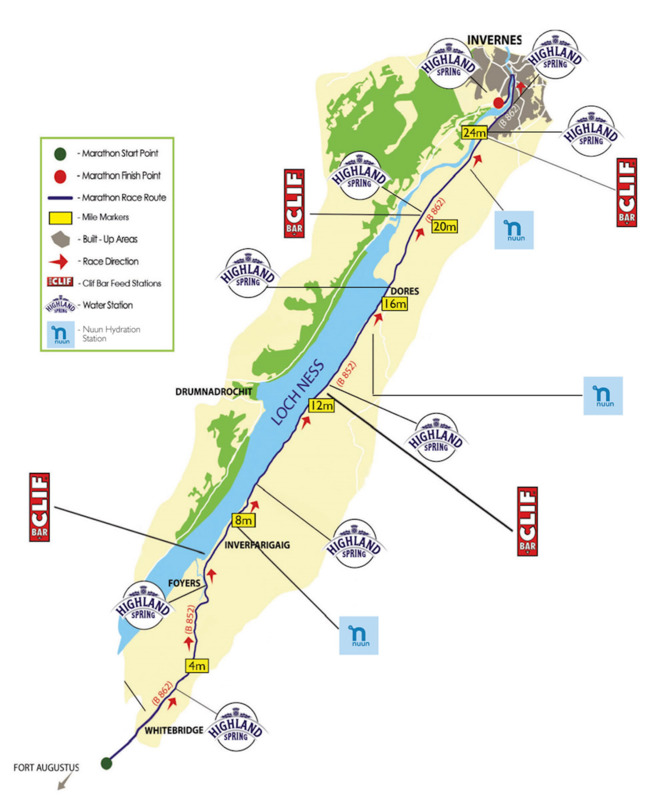 There are great marathons around the world, many of them particularly marked by their settings, and the Loch Ness ranks right alongside them. The centuries-old legend of the Loch Ness Monster is a story that continues to run. 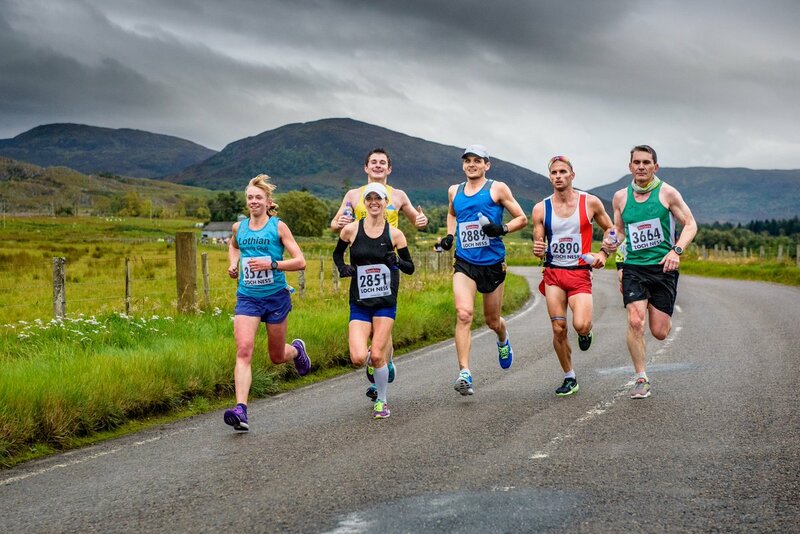 Along with the scenic beauty of the area, it has been responsible for attracting visitors to this fascinating part of Scotland for many years.The opportunity to put such a memorable marathon on their record, one with such a unique story to tell, has proven too strong a pull for thousands of runners of all abilities. 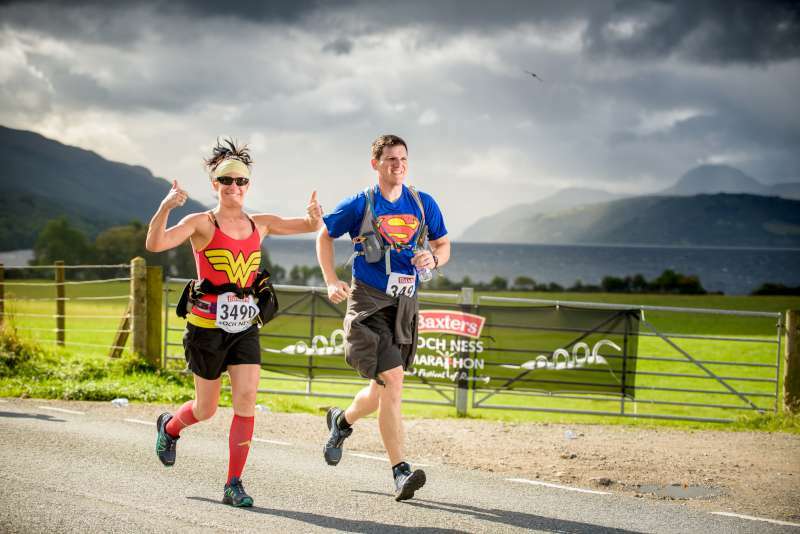 The Baxters Loch Ness Marathon is quite possibly one of the most stunning marathons in the world. With spectacular scenery, fantastic atmosphere and a truly memorable experience – it’s no wonder it was voted in the top 10 UK marathons by Runner’s World readers in 2016 and is on the bucket list for many runners from around the world. Why not make a Highland weekend of it and come with family or friends? There’s plenty to entertain runners and spectators over the weekend with a free Sports Expo, Baxters Food & Drink Fayre, live music, kids’ activities and a Wee Nessie for under-5s. “Breathtakingly beautiful”, “friendly atmosphere”, “flawless organisation”, “felt like a festival not just a race” are just some of the comments we had from our runners so why not come and experience it for yourself. The Loch Ness Marathon follows a spectacular point-to-point route alongside world famous Loch Ness, starting in an atmospheric moorland setting and continues through stunning Highland scenery, taking you along the south-eastern shores of Loch Ness, across the River Ness, to finish in Inverness, capital city of the Highlands. 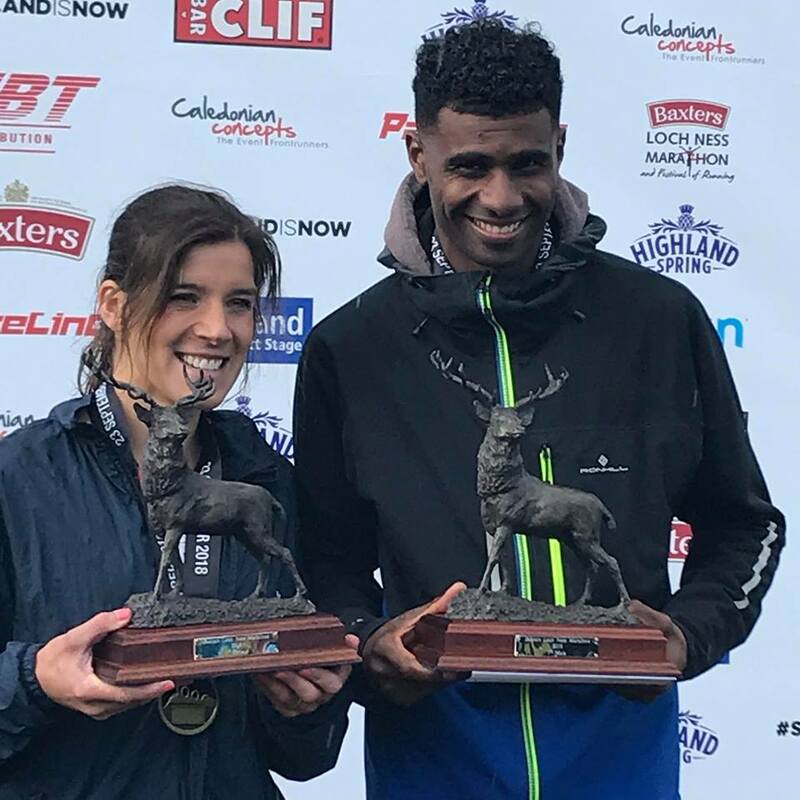 The Marathon will start on the high ground between Fort Augustus and Foyers (B862) and will drop down to the banks of Loch Ness at Foyers (B852). From there, the route follows the loch’s south eastern shore, heading north east towards Dores on the northern tip of the loch. From Dores, the race heads directly into the centre of Inverness (B862), turning left over the main road bridge and left again for the last half mile along the River Ness to the finish at Bught Park in the centre of Inverness.